This week, Puerto Rico welcomed over 7,000 cruise visitors from Freedom of the Seas, Carnival Conquest, and Disney Magic – the first cruisers after Hurricanes Irma and Maria struck the island. 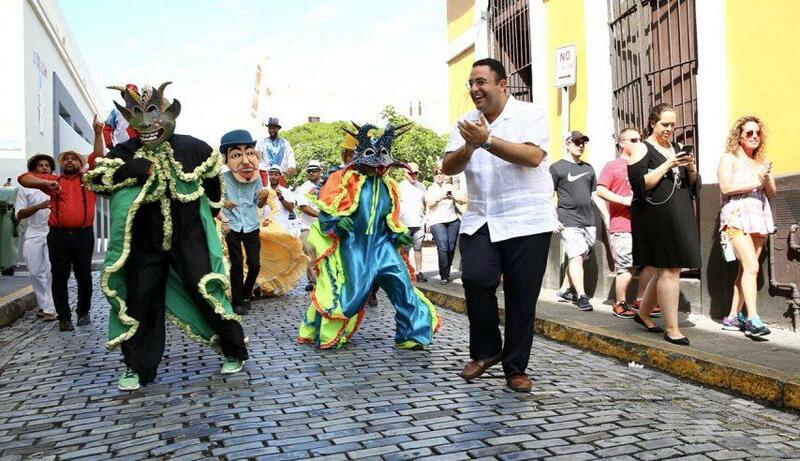 Visitors were greeted with festivities ranging from free salsa classes, rum and coquito tastings, to traditional BatuPlena percussion bands, artisan markets, street performers, and children’s fairs. Carnival Cruise Line has announced the name for their newest 3,954-passenger ship, due in fall 2019. Carnival Panorama will be newest Vista-class vessel, joining Carnival Vista and Carnival Horizon as the largest ships ever built for the line. She’ll feature dining venues with indoor and al fresco seating; open-air attractions like the SkyRide, WaterWorks aqua park; and a Havana section with tropical staterooms and a Cuban-themed bar and pool. Princess Cruises has also announced a newcomer’s name. The fourth Royal-class vessel will be Sky Princess. The 3,660-passenger vessel will cruise the Mediterranean starting October 2019. Windstar Cruises is launching a new Signature Expeditions program as the line returns to Alaska in May 2018. The immersive, “high-touch” experiences include presentations from expert expedition teams and personalized small-group hikes and kayak or Zodiac trip led by those same expert biologists, glaciologists and more. Experiences thus far will include fishing for halibut and salmon in the Inside Passage, taking a seaplane over five glaciers to dinner at Taku Lodge, touring the Kroschel Wildlife Sanctuary with animal caregiver Steve Kroschel, and more. MSC Cruises has taken delivery of its new, high-tech flagship, MSC Seaside, and announced orders for two more Seaside EVO ships. This evolution of the Seaside Class will have greater dimensions (1,060 feet long, 134 feet beam), more cabins, an even larger Yacht Club – with an additional deck and larger cabins – and will host up to 5,646 passengers. MSC Seaside will be formally named at PortMiami on December 21, 2017.